Mandel Duck paired with HashHub Tokyo to release the beta version of SaruTobi Lightning for android. As mentioned last month, the beta version features lightning payments and tipping for users. Over 3000 tips have been sent so far. Continuing on, the team has continued to release new card designs via their social media platforms that you can purchase here. The team also completed their 7th distribution of MAFIACASH (their first of the new year). BitCrystals has had a quiet month with only an update from the Spells of Genesis team. This update involves an updated version of the game. Version 1.2.21 includes a new victory/defeat screen alongside additional ways to earn in-game currency. Resident BitCrystals artist; Joey Chips has also recently released another card design for the CrystalsCraft environment. He recently published a piece on his portfolio of work, check it out here. FoldingCoin has a few updates this month as Executive Director of the project; Bill Beard met with the CFO of a major healthcare organization, with plans to follow up concerning both funding and the affiliation of a research organization. The team has also made it to the next level of selection on the echoing green grant. The FoldingCoin development team has been working with getting Humber College set up to conduct usability studies on their installer and product, to improve ease of use. Augmentors recently posted a year-in-review via their medium publication. Highlighting their achievements of the year that include the launch of their open beta in August, as well as, most recently, their feature by Apple’s app store. Check it out in the jump. Infi.space, a project still in its roots as a collectible trade card game and strategy project, recently shared a call for users to join their telegram group via social media. In a piece by Rare Pepe Wallet founder Joe Looney, “the real cost of Cryptogoods” discusses the altered value of tokens aka ‘cryptogoods’ depending on the platform. Going beyond gaming items, Looney’s work often includes nonfungible tokens and cryptoart too – mentioning that this emerging media can often be overwhelming to newcomers. The article begins to discuss the platform and longevity of cryptogoods as a basis for its realness and value. He begins with a history lesson going back to 2015, citing Counterparty and the popularity of trading cards via the protocol on the bitcoin blockchain. This lesson draws popular mentions to projects such as Bitcorns and Rare Pepes. With his definition that “a cryptogood is a token issued by an artist, game developer, musician, etc. that is generally represented by an image, video or text” Looney goes on to point out they are not representative of currencies or physical goods. After going on to discuss his original points – comparing the issuance of cryptogoods via Counterparty vs Ethereum – Looney ends rather open-ended with a fair warning to users not to get caught up in mass opinion. A worthwhile read, check it out here. 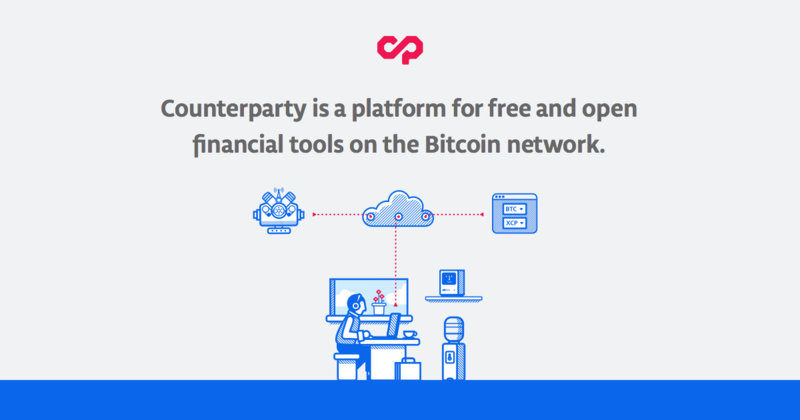 All users and projects within the Counterparty ecosystem are encouraged to have upgraded by today (January 7th, 2019) for the hardfork.